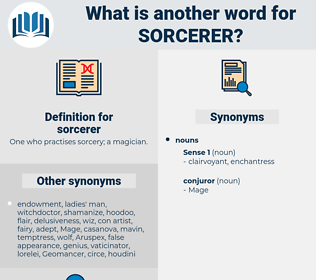 What is another word for sorcerer? 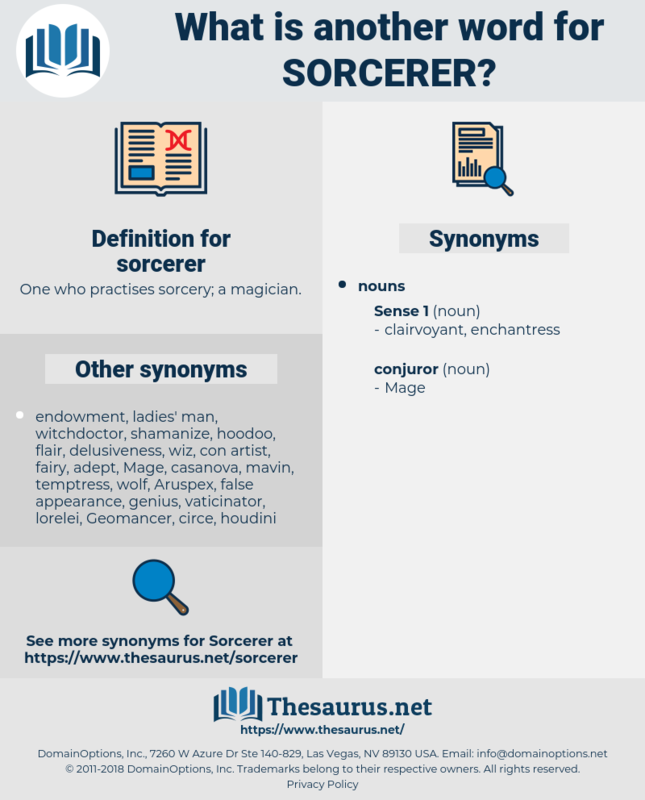 One who practises sorcery; a magician. Was it not there that I introduced you to the sorcerer who tamed the savage horses by a single whisper into their ear? It came even against his will between himself and the priest of the robe who had called him " Sorcerer" - and who was the real general he would have to do battle with in the near days. screecher, square-rigger, sharksucker, serger, scorcher, shirker, scourger, scarecrow, surgery, seersucker, searcher, screw augur, screw auger, sorcery, sour cherry.